DJ Drez is a Journey into Sound. He is in demand as a producer, musical director, and sound ambassador. 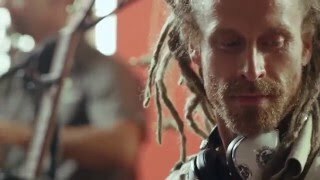 A master of his craft in the studio and on stage, Drez cuts and composes profoundly original tracks that facilitate body movement practice of all forms— be it dance, yoga asana or after-hours intimate/ecstatic. He transforms the vibe of any scene his sound is set upon. Rooted in underground L.A. hiphop, Drez applies precise turn-table skills to cutting-edge vision for truly universal music, intelligently integrating elements of hiphop, world music, soul, funk, jazz, and reggae into his trademark sound and production. Drez’s peacefully determined demeanor makes him a highly sought-after contributor to a variety of dynamic projects. In the midst of a non-stop, world-wide tour schedule, Drez has prepared another solo effort (Alpine Swift, available June 7 via Nectar Drop Music) while simultaneously producing a Sanskrit mantra record with his wife, vocalist Marti Nikko, and a straight-up hiphop album with longtime collaborator, Zaire Black, both expected to be ready for release in 2016.